Come by the shop on Friday! 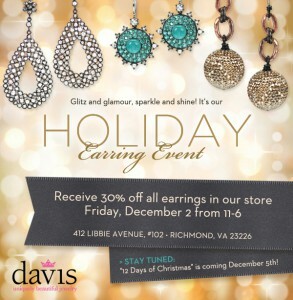 We will have all earrings 30% off and we have gotten some fabulous new things! LIKE US ON FACEBOOK for further holiday specials starting December 5th.